Move right in without a thing to do! This immaculate home is spotless from top to bottom! Popular split floor plan with master suite on one side, and 2 bedrooms, bath and laundry on the other. Open living area with high ceilings, gas fireplace, ceiling fans and custom shutters. Kitchen has granite counters, large pantry and stainless appliances. Large laundry room with sink and tons of additional storage space. Master bedroom with oversized shower, walk in closet and glass door to the cozy back patio. Beautiful, yet simple to maintain landscaping with automatic sprinklers. Nice and newer washer, dryer and refrigerator are all included! 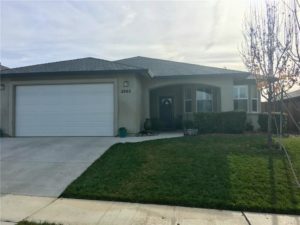 All this in the desirable Belvedere Heights area of South Chico..